We use the power of photo and video media to tell your brand's true story. Every person, every brand and every company has a story to tell. How you share your story creates a narrative that an audience will be able to identify with. Let us help you move your audience to action. We are storytellers at heart. Crafting unique and purpose driven stories drive us. We love to combine the medium of video and photography to create seamless campaigns that help brand, give history, show a vision, share an ideal and tell a story that engages. We combine more than 20 years of photography, filmmaking and graphic design with our passion for collaboration. We have worked in over 10 countries and 25 states. We have won multiple awards and have been featured in national publications. 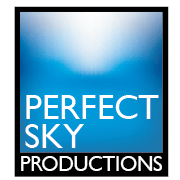 We offer complete pre-production, production and post productions workflow. We specialize in crafting unique, story driven content under one roof. We produce and create custom photos for hotels, restaurants, designers, builders, fashion, companies, sports brands, chefs, architects, and agencies. We offer full service editing in both still and motion. We offer complete services in post sound, graphics, FX and color. Share your vision with us today. We would love to bring voice and vision to your company’s story and purpose. All good stories start with a spark, let us fan that flame. Call us today.